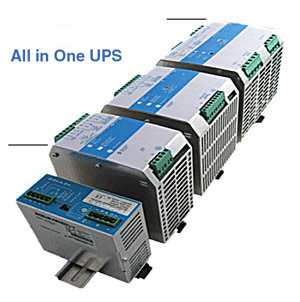 CBI All In One UPS Power Solutions combine the requirements for several applications in just one device which can be used as power supply unit, battery charger, battery care module or backup module. The available power is automatically distributed among load and battery, while supplying power to the load always is the first priority. 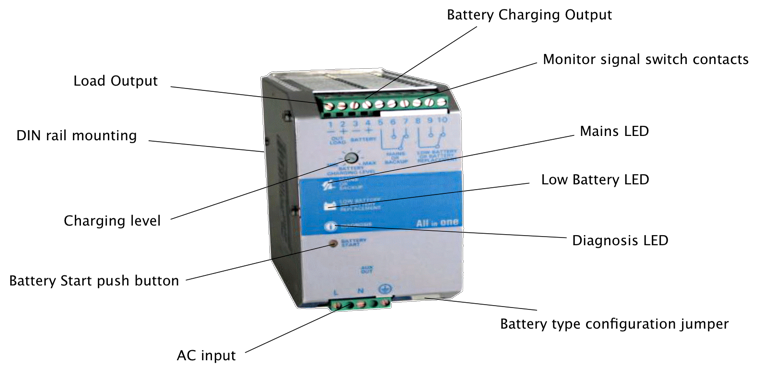 The maximum available current of the load output is two times the value of the device’s rated current. If the device is disconnected from the main power source, the battery will supply the load until the battery voltage reaches 1.5 V per cell. This prevents the battery from deep discharge. CBI devices provide microprocessor controlled battery charging. Using algorithms, the battery’s condition will be detected and based on that, an appropriate charging mode is chosen. The real-time diagnostics system will continuously monitor the charging progress and indicate possibly occurring faults such as elements in short circuit, accidental reverse polarity connection or disconnection of the battery by the battery fault LED and a flashing code of the diagnosis LED. 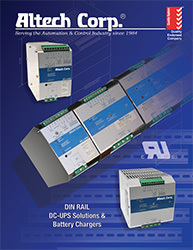 CBI All In One UPS Power Solutions are suitable for open/sealed lead acid-, lead gel- and optionally Ni-Cd batteries. By using the battery-select-jumper, it is possible to set predefined charging curves for those battery types. with a DIN rail mounting bracket. Several output protection features such as short circuit, overload, deep battery discharge etc.